As a major paraffin wax producer and exporter, China has the best international status. China’s paraffin wax resources are mainly produced by PetroChina and Sinopec. Currently, PetroChina has seen magnification in its voice in the paraffin wax market with over 80% of paraffin wax resources at its refineries. As resource volume at Sinopec decreases greatly, market influence of Sinopec is gradually reduced. Heading into 2018, as paraffin wax units ran steadily, the supply was sufficient. But with the intensification of environmental protection and rectification work in China, the downstream demand for paraffin wax kept decreasing. As a result, the imbalance between supply and demand in the paraffin wax market became intensified. Besides, with the impact of low-priced paraffin wax at India and Iran and the rising of coal to paraffin wax, China’s paraffin wax market encountered severe challenges. Influenced by the supply-demand fundamentals and sentiment towards paraffin wax market, market prices of paraffin wax were mainly stable in 2018. China, as a major exporter of paraffin wax, had suffered from Sino-U.S. trade war this year. On the whole, the supply of paraffin wax was surplus, and market participants operated cautiously and steadily. Will there be new changes in China’s paraffin wax pattern in 2019? Will the export improve? How will the price trend of paraffin wax be? This report is based on the original data from SCI and also composites the authoritative data from National Bureau of Statistics (NBS), General Administration of Customs (GAC), National Development and Reform Commission (NDRC), etc. 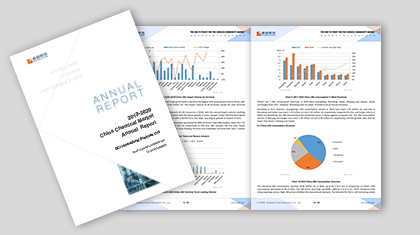 Besides, uniting with senior experts, state-owned refineries, traders, import and export enterprises and downstream enterprises, this report conducts detailed review of China’s paraffin wax market and analyzes the supply-demand change, price trend and the import and export dynamics of the paraffin wax market. Meanwhile, this report shows the current situation and the development tendency within the next five years of China’s paraffin wax market, which offers powerful decision-making foundation for market participants. 1. To present the imbalance between supply and demand in China’s paraffin wax market and help to understand the supply-demand pattern as well as variation trend through the analysis of China’s paraffin wax supply-demand pattern. 2. Help to know the production status and development trend of China’s enterprises through displaying the capacity and output at China’s producers by region in the past 5 years. 3. Help to make changes of export pattern clear through detailed analysis of the paraffin wax export market by destination, customs and trade mode.